Browse our member list for free! Looking for a specific facility or venue? Use the search box below for a quick find, or click on "advanced search" to narrow down your choices even further. Click on each member listing to see more photos associated with their listing, as well as gain valuable information like email address, websites and more! 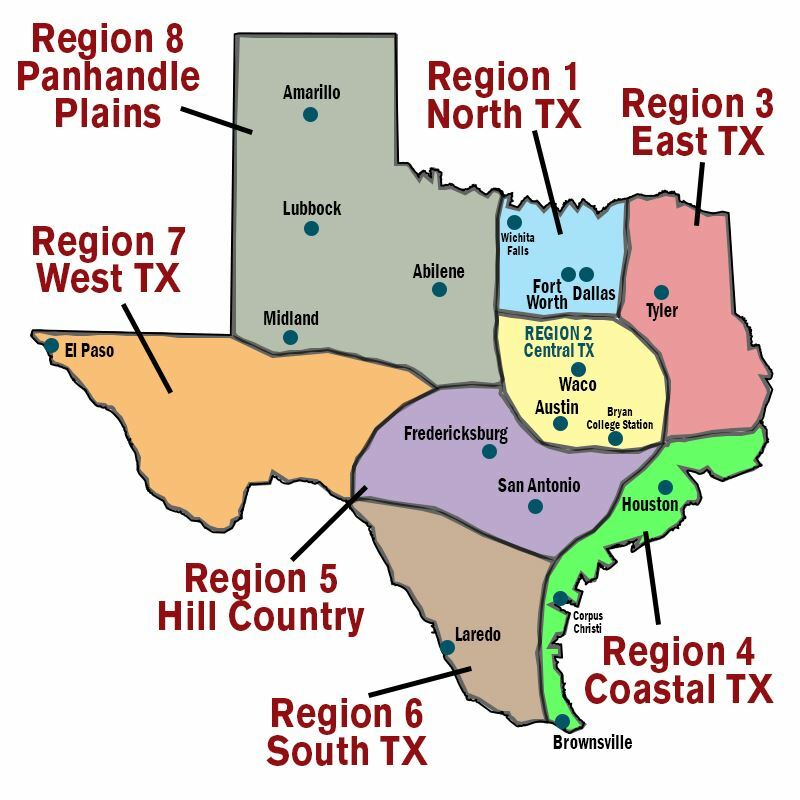 Our members are broken down into eight regions as highlighted in the diagram on this page. If you want to see a list of members sorted by their region, click here. Click here to see a list of our Allied Members who provide support services to both TxAVF members as well as the general public. Support these TxAVF Allied Members! Allied members are non-facility or venue members who provide support products (such as chairs, linens, equipment rental, etc) or other services that may be relevant to Texas Association of Venues & Facilities members or the general public.